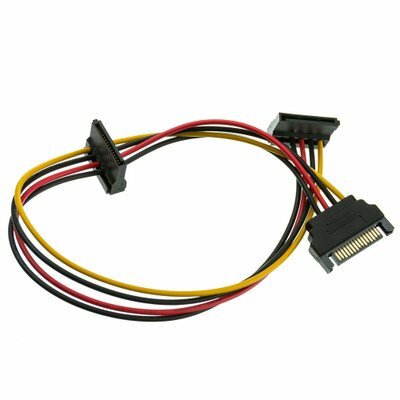 This 14 inch SATA power Y cable is a serial ATA female and a dual serial ATA male. This Y cable is 15-pin. This 14 inch SATA power Y cable is a serial ATA female and a dual serial ATA male. This Y cable is 15-pin.